Simon Cowell's mother, Julie, is "absolutely delighted" about reports the music mogul is to be a dad for the first time. 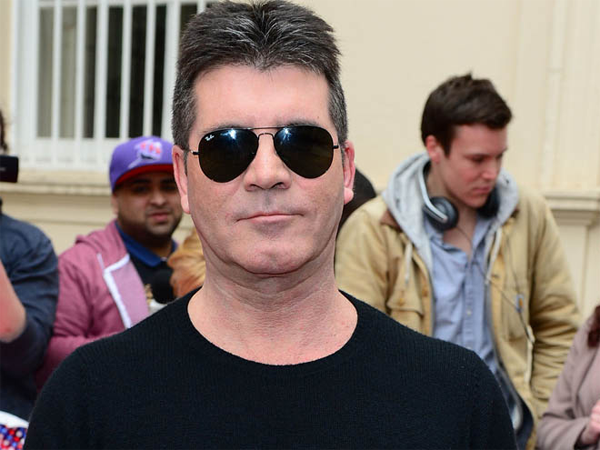 Simon Cowell's mother thinks he’ll make a "fantastic father". The 53-year-old music mogul is reportedly having a baby with his friend Andrew Silverman's estranged wife, New York socialite Lauren Silverman ? and his 87-year-old mom Julie can't wait to become a grandmother again. She told The Sun newspaper, "I've not heard anything officially. But if it's true then I'm absolutely delighted. It's wonderful! He'll make a fantastic father. He'll be great." Rosy Davis, who’s married to Lauren's father, Steven, confirmed the news and admitted her family are "excited" she’s welcoming a child with the X Factor boss. Rosy told MailOnline, "We are all excited for the baby. It's beautiful. We feel blessed. Any kid is a blessing." Andrew reportedly filed for divorce from 36-year-old Lauren ? who’s said to be 10 weeks pregnant ? on 15 July. The estranged couple have a seven-year-old son, Adam. It’s also emerged Andrew's parents, Eleonora and Allen, didn’t attended his and Lauren's wedding because they reportedly had concerns about the brunette beauty. A source told the website, "Andrew's parents boycotted their wedding because they had their doubts about Lauren. They thought she was suspect." Simon and Lauren are believed to have met on holiday in Barbados some years ago after being introduced to each other by Andrew, and the trio have shared many vacations since. The source added, "They would organise these month-long trips and Andrew would go for two weeks and then leave for business and Lauren would stay behind. And people talked when she left their little boy at home and stayed away for a month."